Monday motivation quotes have become a normal practise and lifestyle that for so many it doesn’t hold as much motivation as it should. You see it on your favourite social media platform of your friends, followers and brands but yet every Monday remains the most ugh-day of the week for many career professionals, entrepreneurs and students. I wonder if anyone thinks just like I do, if the name of the week Monday was changed would it make any difference? 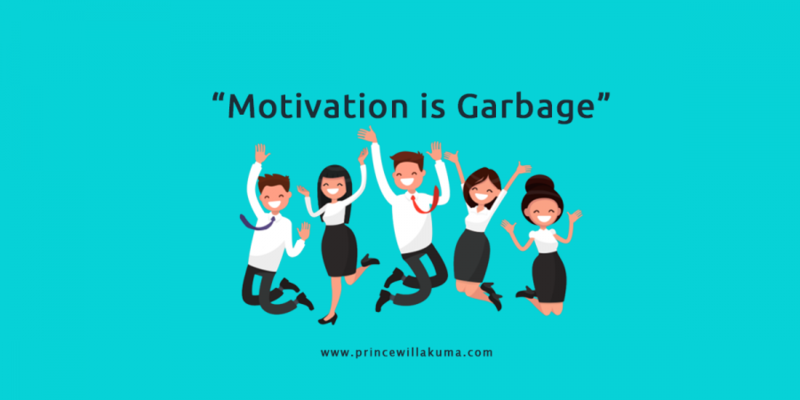 After long pondering about it and being a better Monday person than most people I know, here are 4 reasons why you are never motivated on Monday. When you are yet to discover your why a lot just goes by, this is a major reason why you are yet to be motivated about your Monday. In life, having a reason to look forward to or act sets you set up to better be prepared and committed to taking the required action. Seek out and find your reason why you are least motivated on Monday mornings and commit to making a change. Excitement is the spice of life and no better way to be more excited about something but for you to commit your time and energy to plan for it. As a marketing professional, one of my rituals to stay gamed-up about my Monday is to look at the analytics and results of my work from the past week. This sets in motion the excitement and motivation to look forward to what I can do on Monday and all through the week to ensure better results from the past week or at least not to go below. Find a Monday motivation plan that you can look forward to executing every Monday that impacts your goals and results positively. This would ensure you become more motivated about Mondays. One of the reasons why you are never motivated on Monday is because you will never be motivated enough about anything till you take continuous action for it to becomes a habit. As put by Mel Robbins “…we’ve all bought into this lie that you’ve got to feel ready to change. We bought into this falsehood that at some point we are going to have the courage to change, motivation is complete garbage”. Whether you wake up motivated or not, make it a habit to commit to the actions, tasks and things that would impact your plans, goals, results positively because waiting for only when you are motivated is a scam. Being an early riser, helps you set your mind and agenda for that day. Health professionals confirm waking up early has positive health benefits. To ensure your morning routine impacts greatly on meeting timelines by leaving and arriving early thus saving you that stress that can impact your mood or nerves negatively. Build a habit of starting out early on Monday and every other day. You need to figure out how your Monday actions or inaction would contribute to your long-term and short-goals, this would make it easier to be a go-happy jolly good Monday fellow. Plan to exercise, spend time with your family or friends and rest on weekends. Little habits as setting the clothing, shoes, bags etc you would wear on Monday would help unclog your Monday morning activities and focus you on getting ready and moving out. After reading this, remember that every action you take on Monday like every other day either brings you closer to your short-term or long-term goals.